Goetz Botzenhardt is an award-winning producer living in London whose career spans some of the world's biggest pop records, as well as having a fantastic career mixing for film & TV. 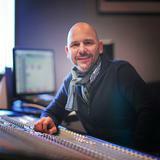 His credits include The Pet Shop Boys, Faithless, Dido, the Sugababes, Sigala, Ella Eyre, Utada Hikaru. His recent film & TV work includes the Golden-Globe and Oscar-nominated Steve Jobs, Under The Skin with Scarlett Johansson, The Imposter, the Emmy-nominated War & Peace, One of Us with the BBC. 1-2-1 feedback on your work. In these lessons Goetz will walk you step-by-step through the mixing process, recreating a mix he worked on with composer Anne Nikitin. he'll discuss tools and techniques for mixing for Film & TV, what software, plugins and effects to use, what styles, and what approaches to take to being both creative and technical at the same time. Goetz demonstrates the entire workflow using Pro Tools and a unique combination of racks, effects, busses, EQ, Compression, and Reverb. This course is applicable whether you're using Pro-Tools or any other DAW. Learn the secrets, the settings, the best plugins to use! Whether you're a beginner or an advanced mix engineer, nothing beats sitting next to a seasoned pro, watching him work his magic to shake up a film score and take viewers on a rollercoaster ride! In the early nineties, I trained at Swanyard Recording Studios, assisting for top producers like Flood, Alan Moulder and Tom Lord-Alge. I started to cut my teeth recording and mixing dance and Acid Jazz Bands of the 90’s Incognito, Galliano, Soul to Soul and many others. At Swanyard Studios, I met Rollo Armstrong and we quickly formed a creative partnership. Our collaboration led to many big dance records and remixes and to eventually recording and mixing the first two highly acclaimed Faithless albums and Dido's multiplatinum selling album 'No Angel' shortly after. Encompassing a more eclectic combination of genres, I recorded and mixed the Sugababes debut album 'One Touch', including their first hit 'Overload', as well as mixing for The Cardigans, Bjork, The Cinematic Orchestra, Craig David, The Pet Shop Boys and Hikaru Utada, one of Japan's most successful female artists. More recently I expanded my skills into recording and mixing for film and TV. I have worked extensively with renowned composers Christian Henson, Martin Phipps and Anne Nikitin and I'm proud to have mixed Daniel Pemberton's Golden Globe nominated score for 'Steve Jobs', directed by Danny Boyle. Film work aside, lately, I produced Tanita Tikaram's new album 'Closer to the People', mixed tracks for Sigala, Ella Eyre, Breton, Planet Funk, Tito Jackson, and in the summer 2016, mixed Peabo Bryson's new album with Jimmy Jam and Terry Lewis. I have my own state of the art studio and mix room, with an SSL E4044 console, Adam's 5.1 surround monitoring a 48 channel Pro Tools HDX system and choice outboard gear.